This past Yom Yerushalayim, Yeshivah of Flatbush Joel Braverman High School students and faculty treated parents, alumni, faculty and friends to an astounding display of talent and creativity at the Sixth Annual Evening of the Arts. The student lounge was a magnificent art gallery, where visitors could enjoy the multi-media work of our students as well as a delicious collation. Student work from the graphic design, photography and product design classes were on exhibit in the lobby and first floor hallway along with a selection of pieces from the jewelry design "Tsei Ulemad" independent study class. The next part of the evening took place in the Laniado Gymnasium, which stunningly transformed into an intimate cabaret venue. 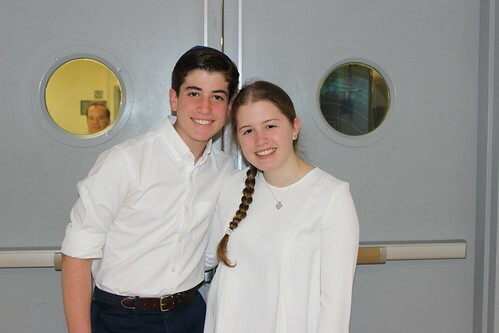 The program began with a video about Jerusalem, showcasing the miracle of the Six Day War and the 50 years of growth and progress. 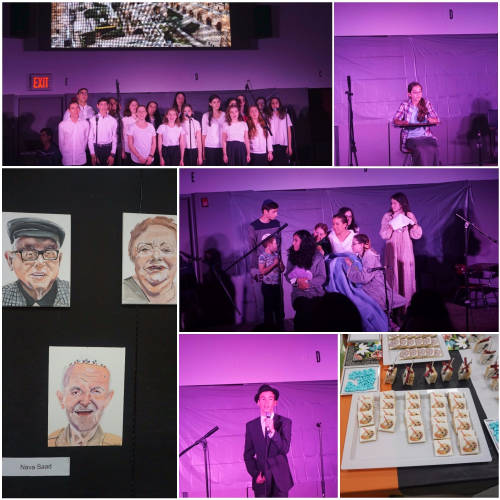 The program featured twenty diverse instrumental, vocal and dramatic performances ranging from classical and pop to comedy and drama. The YOFHS choir closed the show with a beautiful Jerusalem medley. After the performances everyone was invited to see the amazing art work that was showcased in the student lounge. Thank you to Mrs. Rachel Winkler for coordinating this program, and to all of the Arts faculty for preparing our students for this unique event.